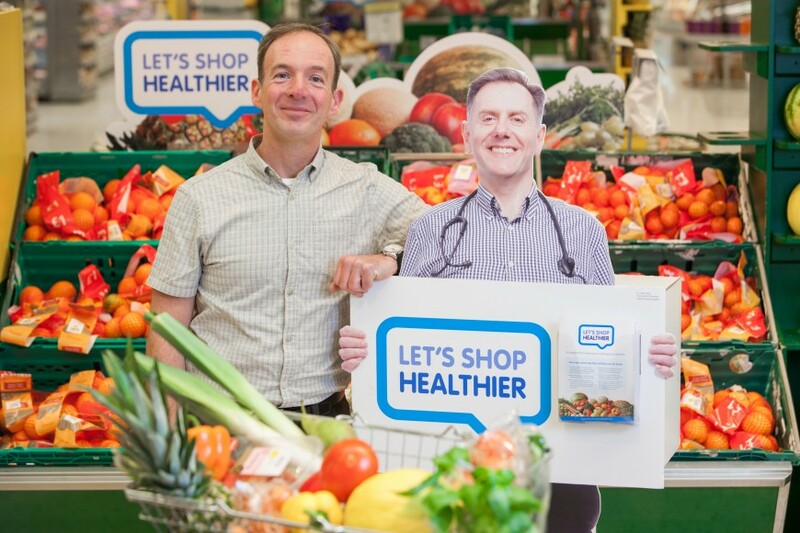 Placing cardboard cut-outs of doctors and nurses carrying health-promoting messages in a Manchester supermarket led to a 20 per cent rise in fresh sales, and a 30 per cent increase in frozen fruit sales. Using the science of behaviour change, tactics which wouldn’t look far out of place in a Derren Brown documentary encouraged shoppers to think a little harder about their shopping choices. The Healthier Choices pilot, devised and led by Damian Edwards, advisor to the National Obesity Forum and professional member of NICE Public Health Programme Development Group, was trialled over a five-week period at a Morrisons supermarket in Salford, Manchester. 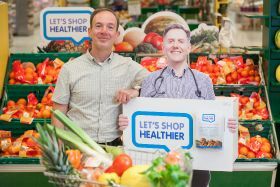 The life-size cut-outs of real doctors and nurses who work in the Salford area were positioned within the fruit and vegetables section, while additional prompts included promotional materials bearing the message ‘Let’s Shop Healthier’ displayed inside and outside the store, and free ‘bags for life’ for shoppers to pick up at the fresh produce section when purchasing fruit or vegetables. The images, according to Edwards, trigger a phenomenon known as ‘priming’ - the idea that individuals may become pre-disposed to make certain choices in one environment if influenced by triggers in a previous or linked environment. David Haslam, chair of the National Obesity Forum, said: “Many of the changes that will help fight the obesity epidemic in the UK will take several generations before a meaningful impact is seen. “The Healthier Choices Pilot is a landmark study because it is one of the very few initiatives to show an instantaneous effect and therefore that an improvement towards a healthier diet and a healthier population can be effected almost overnight." Sales of fresh vegetables showed no change during the experiment last November, however. This, Edwards said, was thought to be due to vegetables offering fewer convenient snacking options when compared to fruit, and because vegetable consumption generally requires more preparation as part of a meal.